Has going soft ruined the Mustang’s persona? Being a polite good citizen that’s early to bed and early to rise, works hard, and dresses with their heart on their sleeve has plenty of virtues, but it also has its downsides. Apparently, Rory Reid thinks the etiquette lessons that Ford gave the Mustang have exacerbated these downsides and changed its overall character for the worst. This is perfect proof that one can’t really please everyone even if they try because, while the last Mustang had plenty of fans, this new iteration spat in their faces. Independent rear suspension and a turbocharged four-cylinder render this ‘Stang a fedora wearing nice guy, trying to sneak into the wallets of a more mainstream buyer by being fuel efficient, cultured, and easy to handle. But we all know which Mustang we really want: the bad boy. The one that we’re not sure will kill us or not. 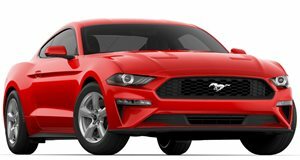 The fact that the new Mustang has gone soft (in Reid’s eyes) could be a sign of the times, but at least Ford was wise enough to leave us quite a lineup of Mustangs for those who want more. Despite Reid’s misgivings about the pony car, the fact remains that it’s still one of the cheapest ways to get a powerful coupe that turns heads and lets the neighbors know you have a crazy streak (if they didn’t know that already). So yes, the Mustang may have smoothed out a bit of its rough edges, but its core personality remains. Unfortunately, while we can easily live with the politeness of the new Mustang, we're not too sure what to think of the upcoming hybrid pony car.